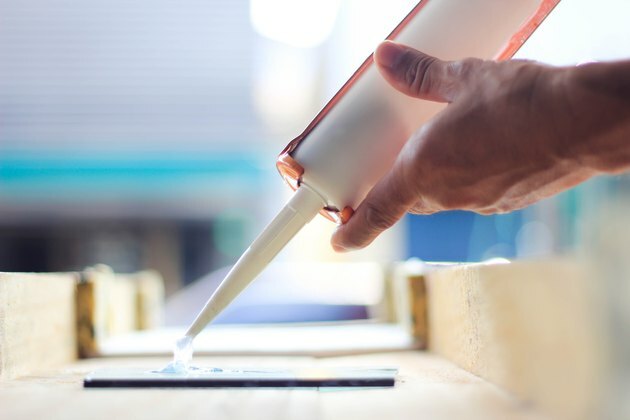 Caulks and sealants have one important job: they seal joints and gaps between materials to maintain a flexible, water-resistant connection. In some areas around the home, this is no big deal, and almost any caulk will work just fine. But in tougher environments, like bathrooms, rooftops and around windows and doors, a long-term waterproof seal can be a big challenge. Your best bet is to choose the right caulk formulation for the task at hand, and don't get fooled by products that claim to do it all. Latex caulk, like latex paint, doesn't contain real latex; it's just a common trade name for caulk formulas with a water base. Most latex caulks are made with acrylic and other water-soluble compounds. Some contain limestone (giving it the familiar chalkiness), and many also include mildewcide and other additives. Basic latex or acrylic caulk is often called "painter's caulk," which is a fair description of what it's good for. Use it to seal joints, hide small gaps and fill nail holes in interior woodwork and other materials that will be painted. It washes up easily and dries quickly. What it doesn't do is last very long when it's left unpainted or when it is used in wet or outdoor environments. Basic latex caulk comes in a variety of colors, and cleanup is done with soap and water. Latex or a_crylic caulk with silicone_ is a step up from basic painter's caulk and offers a bit more durability and water-resistance due to the added silicone. It is usually paintable and is advertised as suitable for indoor and outdoor use, but it's not the best choice for outdoor applications—there are much more durable options for outdoors. 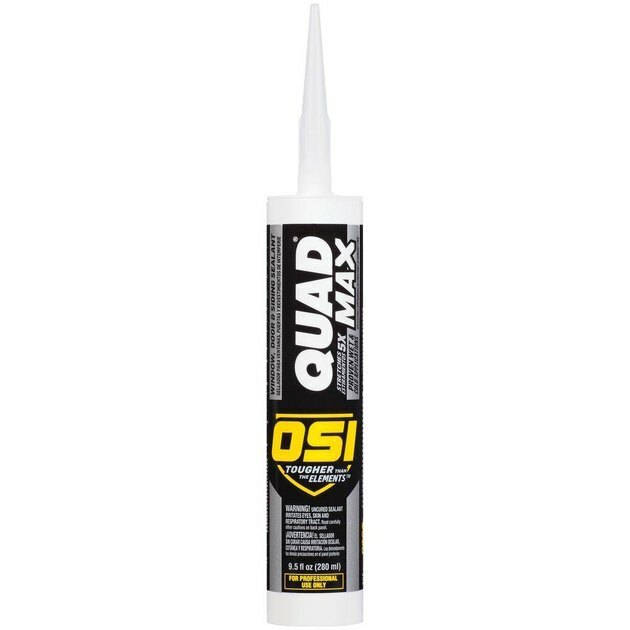 Indoors, it is a mid-grade caulk that you might use for gaps and joints in painted woodwork and where wall tile meets drywall or other materials in relatively dry locations. It's not recommended for tile-to-tile joints or for plumbing fixtures because it doesn't last as long as pure silicone—and these are areas that don't need a paintable caulk, in any case. Siliconized latex caulk also comes in a fairly wide range of colors, and, like all latex products, cleanup is done with soap and water. Pure silicone is 100-percent silicone caulk, with no acrylic or other water-based caulk mixed in, although it may contain mildewcide and other performance-enhancing additives. While water-based caulk cures by drying, silicone cures with contact to moisture. That helps explain why it's the best caulk for wet areas, including plumbing fixtures, shower or tub surrounds and tile-to-tile joints. The main drawback of pure silicone is that it's usually not paintable. However, the places where it's needed most don't get painted anyway. It's also commonly used to seal around kitchen sinks and even to adhere under-mount sinks to countertops. Once available only as a clear or white product, pure silicone caulks are now available in a narrow range of colors that may also include black and almond along with the traditional clear and white. Silicone caulk must be cleaned up with a solvent, like mineral spirits or denatured alcohol. It has a funky vinegary smell while it cures, but this goes away completely in a few days. Newer, high-tech window and door sealants—the good stuff—are professional-grade caulks designed for outdoor use. They come in many formulas, but typically they are not water-based and often include a urethane compound for flexibility and durability as well as UV-inhibitors for protection from sunlight. Unlike pure silicone caulk, many window and door sealants are paintable, and some can even be applied in wet weather. These sealants are designed for maximum flexibility so they don't lose their grip or crack when outdoor materials—like siding and window frames—expand and contract. With their initial cure times of about 24 hours (similar to pure silicone), you know these specialty caulks mean business. Most window and door sealants come only in white or clear, although this isn't a drawback if the product is paintable. Cleanup is done with mineral spirits or another solvent. Made of synthetic (solvent-release) rubber, butyl caulk is good, sticky, flexible sealant for many types of exterior metal: metal roofing, gutters and downspouts, roof vents, flashing and aluminum siding. It also works on vinyl siding, masonry, plastic, stone and rubber. It doesn't need to be painted for protection, but most formulas are paintable. As you might expect, butyl caulk is highly flexible so it can handle the significant expansion and contraction of metal exposed to the weather. Butyl rubber caulks usually come only in white or metal-gray colors. Cleanup is done with mineral spirits or a similar solvent. Refractory caulk is a special-use, high-temperature sealant primarily used to seal small cracks and gaps in masonry fireplace boxes and chimney structures. That's why it's sometimes called "fireplace caulk." If you get your traditional masonry fireplace cleaned by a chimney sweep, he might pull out a tube of refractory caulk and seal a few small cracks in the mortar of your firebox. You can do the same for minor issues; just don't use it in place of mortar or to repair large cracks or gaps or significant damage. A number of products for fireplaces are available, and not all are intended for use inside the firebox itself. 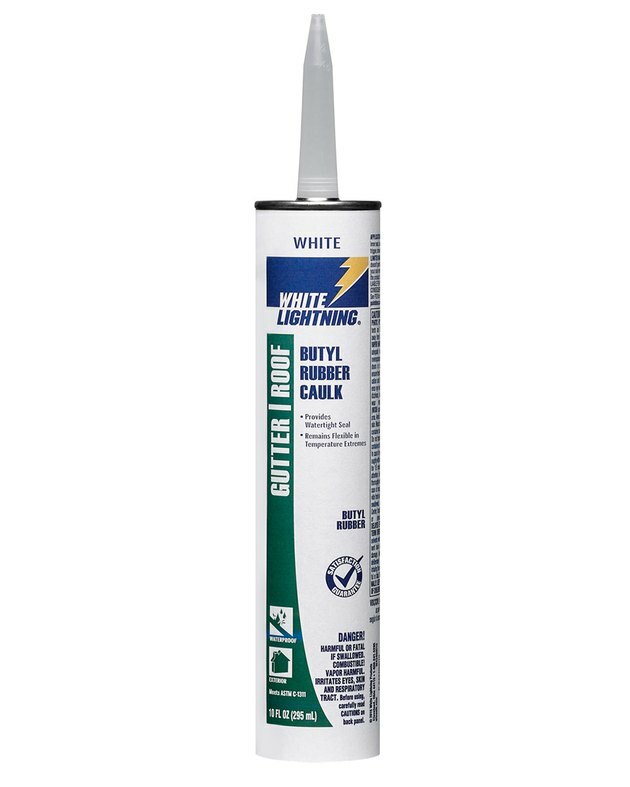 Ture refractory caulk contains a silicate cement that is tolerant of very high temperatures. Most refractory caulks are gray or black in color. Cleanup is done with soap and water. Masonry caulks and sealants are designed to fill gaps and seal joints in exterior concrete, including driveways, walkways, patios, pool decks and retaining walls. They also work well with brick, stone, concrete block and other masonry materials. Most are formulated with urethane for flexibility and weather-resistance. "Self-leveling" versions are thin sealants that flow easily into jagged cracks and form a bonding seal to materials without needing to be tooled. For wide or deep cracks, stuff the crack with backer rod (foam rope) to provide a supporting surface for the caulk. Masonry caulks are uniformly gray in color, to match the color of concrete, mortar and cement. Cleanup for masonry caulks varies from product to product, but most clean up with solvents, such as mineral spirits or denatured alcohol. "Tub & Tile" caulk is the duct tape of the caulking world. Just as standard duct tape shouldn't be used on furnace ducts, most caulks advertised as "tub & tile" shouldn't be used on tubs or tile. This is because these products typically are low-grade latex caulks that won't last nearly as long as pure silicone caulk. DIYers like latex caulk because it's easy to work with and clean up. And to be fair, caulking a tub or ceramic tile—or, in many cases, the joints between a tub and ceramic tile—can get messy and annoying during cleanup. But don't trade short-term convenience for long-term durability. Use 100-percent silicone for all plumbing fixtures and all wet areas, tiled or otherwise. 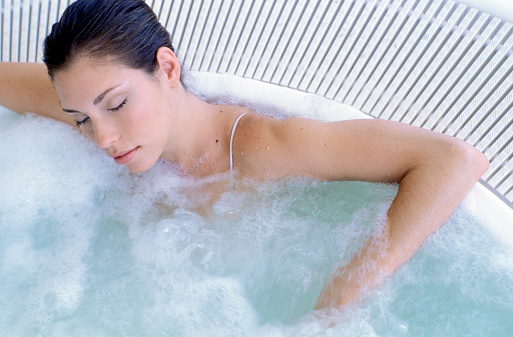 For the same reason, don't be lured by labels like "Kitchen & Bath" or "100-percent waterproof." Most caulk is technically waterproof. And just because a label suggests kitchen and bath use doesn't mean it's the best caulk for those areas. 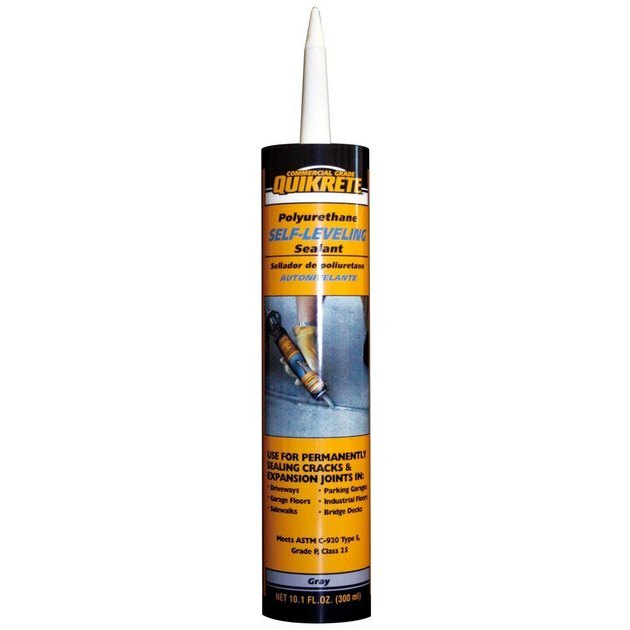 Asphalt sealer comes in a caulk tube and is a handy all-purpose crack-filler and sealer for asphalt, or blacktop. Use it to seal over cracks in asphalt driveways, walks and playing surfaces. This helps seal out water, which can freeze and expand, making the crack worse. It also keeps weed seeds out of cracks so they don't get a chance to sprout in your driveway. Asphalt sealer is highly flexible to withstand temperature extremes and is resistant to oil, grease, gas and salt—that is, things your car might spill or carry in. Not surprisingly, asphalt sealer comes in black. It cleans up with solvent; follow the manufacturer's directions.